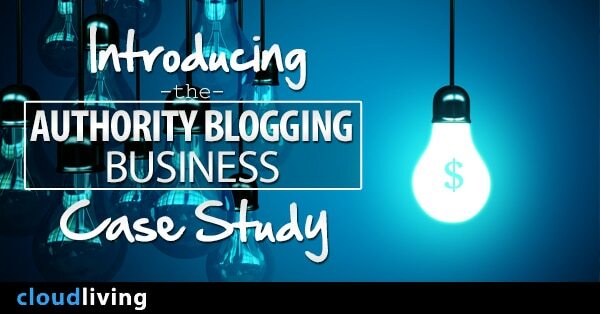 Welcome to the Authority Blogging Business (ABB) case study! This series will give you a detailed look at how to build a profitable online business from the ground up. Unlike other case studies I’ve done before, this will show you the process of taking a new website and turn it into a long-term property that has real-world value. In other words, this is not about building a small niche site that generates $500 – $1000 a month through Amazon affiliate or Adsense, but building a real business asset that can thrive years after years. Let me get started by sharing with you the reason behind this project. 1 Why Building An Authority Blog? 5 How The Case Study Works? 6 When Will The Fun Start? Why Building An Authority Blog? An authority blog or website, whatever you want to call it, targets a specific market or group of like-minded individuals. It differs from a niche site because it’s designed to be the ultimate resource for that topic. Its primary goal isn’t to make an instant sale. Instead the site is used to educate the user in order to establish a long-term (but profitable) relationship. Authority blogs often come from passion about a particular topic. Instead of building dozen of low-value niche websites, you focus on building one big website that people will love. These websites often provide more value and have more commercial potential than small niche sites. Cloud Living – Yes, Cloud Living is an authority blog about building niche websites. Sound weird, huh? It’s now getting 10,000+ visitors a month with me building a single backlink. Currently it’s generating $500 a month through affiliate links. I know it’s not much but I haven’t really put much effort into monetizing the blog. Nerd Fitness – This is one of the best online resources about fitness with millions of visitors a month. I don’t know the real numbers but I’m sure it’s generating six or even seven figures for Steve Kamb through the training membership and live events. Digital Photography School – This is a huge huge website started over 8 years ago by Darren Rowse from Problogger (it’s also an authority blog). The biggest difference is that niche websites focus on ranking keywords, while authority blogs focus on building an audience and solving their problems. While niche websites worked really well in the past, due to recent changes, it’s now much harder to build a 10-page website, throw in a bunch of backlinks, and get it rank quickly for dozen of keywords on Google. Even if you have a strong private blog network (PBN), the new Google sandbox wouldn’t let your website rank high until it’s at least 5-6 months old. And there’s also a high risk of getting penalized by utilizing PBN which is unnatural and against the rules of Google. In contrast, authority blogs are not too dependent on Google. Yes, Google traffic is valuable and any website can get penalized. But your focus with authority blogs is to create high quality content that get links and building real relationships with people so they can send you traffic directly through their blogs. And as Neil Patel once said “Write about what people want. Search engines will eventually catch up.”, I’ve never built any unnatural backlinks to Cloud Living, but Google still accounts for 51.67% of the total traffic. Conclusion: It’s time to stop building small niche websites and getting links from private blog networks. Build an authority blog, grow an audience, serve them well, and you will do fine for years. When it comes to building an authority blog, your greatest advantage is that it can be monetized in a variety of ways. Remember your ultimate goal is not to generate a few nickels from first-time visitors. Instead, we will primarily focus on building a valuable, life-long asset which is an email list. Then we can begin to collect data about the subscribers, find out what their problems are, then giving them the solutions in exchange for their money (or affiliate commission). Keyword research and content planning. This phase will focus on creating massively valuable content that attract shares and links naturally. I will also start reaching out to bloggers and developing relationships with them. Creating content consistently is also a MUST for this phase. Building an authority blog is like a marathon, not a sprint. Although I start monetizing the site from day one with affiliate reviews, I’d also begin to create my own products. Probably I will first start with information products or Kindle books. I’ve never done this before so this is gonna be a great learning experience. How Much Work Is Involved In Building An Authority Site – It depends on your skill level. But I’d say it’s a lot of work. Building a successful business is not easy! Did You Really Give Up On Niche Websites? – Yes, no more niche websites. This will be my only website project for this year. No More PBN? – Yes, I don’t want to get my website penalized again. That’s a hard feeling! How The Case Study Works? First, I will reveal the website. Actually, I want to get it in front of as many people as possible. Second, I will share everything but the income generated. Why? I want to protect my business as it’s gonna be my bread and butter. I will try to make at least 1 update a month with detailed stats to keep you updated on my progress. The #1 goal of this case study is to provide a learning environment for building a large-scale authority blogging business. I can’t do this without your feedback. So I’d love to hear your thoughts on what you’d like to learn. Please feel free to submit any questions or comments you have about this project below. look forward to more info! Best of luck! Yeah I did wonder what happened to that project. So, what happened? Mostly the three of us did not feel that we could make the commitments. Life and other projects got in the way. The admittedly we weren’t seeing anything close to the results we were hoping for after 6 months. Knowing when to quite is sometimes more important than knowing when to get started. Keep me posted on your progress. Are you in Bangkok atm? I will visit BKK next month. Down for a coffee? Sure, why not? Contact me via email with you plan at onearth99 at gmail dot com. See you soon! Good going Tung! I will be looking forward to your ABB updates. But don’t you think revealing the URL can potentially put you at risk of the haters (neg SEO and such)? Sounds like a great plan Tung. I think every niche site builder secretly wants to make something more substantial, and that’s exactly what I plan to do as soon as I have a stable income from niche sites. I will be following this project for sure! Yeah! It’s true. We all know that but it’s hard to take the leap right as niche websites are still working so well. good luck Tung. I guess you have the cash from Teespring to spend a year or two being patient 😉 You still doing great with that? How/when did your website get penalized using PBN links? Andy- He is a lucky guy..Still young & unmarried. 🙂 He is also rich guy according to my knowledge. He could definitely wait for result for next 1 or 2 years. No luck here mate 🙂 Just hard work & dedication to success! I still have income from a few affiliate products so yeah I could wait. Hey Tung – We’ve already spoken about how similar our minds work! I’ve been dropping hints in my blog posts for a couple of months now about my plans to exit niche sites and focus on building a real business. Whilst an authority blog isn’t what I will be going for, I will be following this with huge interest as it will be a great learning curve for yourself and all of us following along. While i understand you want to move to a more sustainable business model, why not do both? And still have that income coming in, while you build your brand. At least thats my opinion on the subject. I just couldn’t focus on more than one thing at a time. FOCUS is the key to success! I’ve always had more interest in authority sites than niche sites, so I like your plan and I think it will work out well for you. I’m interested to read about your progress throughout the case study. Personally, I usually find it difficult to be motivated to work on small niche sites. I’d rather put all of my effort into an authority site that has a much larger upside. Thanks for dropping by Marc! You rock, looking forward to see how this goes ;). Looking forward to hear about the new project. the days of fast ranking is over. This is great Tung, I’ve been a follower for a while now, and have just started my own authority blog. Got a lot to do! Just wanted to say thanks for being an inspiration to me. Most interested to see the move away from PBNs. I look forward to following this case study Tung. 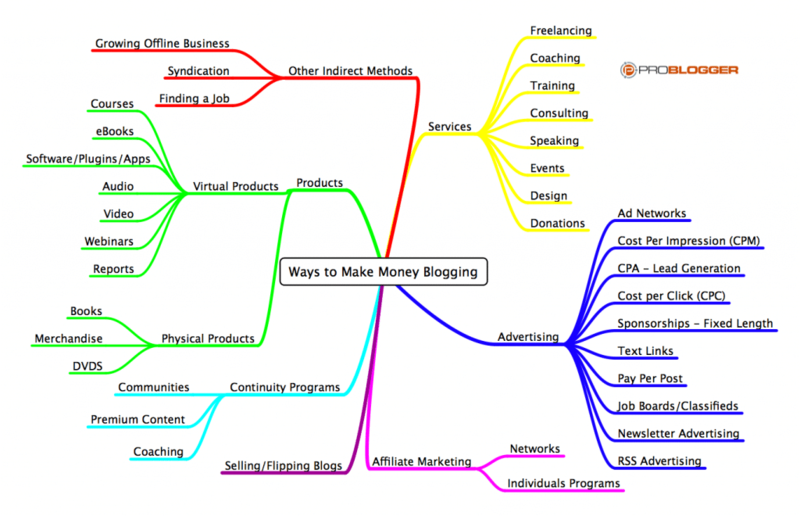 Thanks for sharing this cause study with the real example of the blogs/sites with us. And Wish you all the best for your jounrey. I use Textbroker.com mostly for content creation.